There is an unsung hero in every schools kitchen in America. Every day they are behind the scenes, preparing nutritious meals for the students, while complying with strict government standards, as well as providing service with a smile. 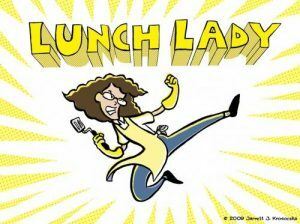 Our school’s Food and Nutrition professionals are these HEROES. 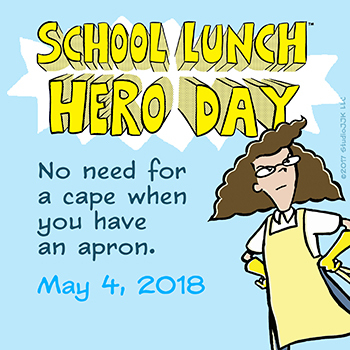 Every year since 2013, May 4th has been observed by The School Nutrition Association (SNA) as School Lunch Hero Day. This day gives students, parents, school staff and the community the opportunity to recognize these tireless men and women, who provide healthy meals to over 30 million and give them thanks.